While many business owners start companies to pursue their passion, a new survey confirms that this feeling doesn’t last forever. One third of UK small business owners have completely lost the motivation to run their company since starting up. Of those, one quarter experience this feeling several times a year. The study explores the factors that affect motivation for UK entrepreneurs, how it impacts them and what they can do to rekindle the passion for their company. When considering the factors most likely to make UK entrepreneurs lose their business mojo, money worries come out on top. Lack of a regular/stable salary is the most common reason for losing motivation, followed by high levels of stress and lower than expected earning potential. 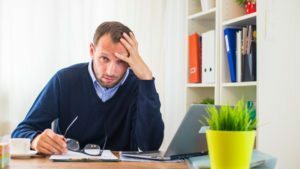 Concerns about money can create a vicious cycle for business owners, as it’s the most business-critical work that is first affected during a lapse in motivation. When asked how they realise they are losing motivation, most respondents say they find themselves procrastinating on projects that are pivotal for their business. Activities that can help to bring in new customers are next on the list to suffer, as unmotivated UK business owners say they are less likely to update their website followed by not posting on social media. Losing the love for their company can impact an entrepreneur’s wellbeing too, as nearly half of business owners feel guilty when they put off work. On a more positive note, a lack of motivation is temporary for most UK business owners, as only one fifth have considered closing their company down in the previous year. For entrepreneurs who need to reignite the passion for their work, purpose is the most powerful driver. Most UK business owners regain their motivation by reminding themselves why they started their company in the first place. This is followed by remaining positive and setting new goals. When asked how they keep their business fresh over the years, UK business owners are most likely to expand their product/service offering, highlighting the importance of seizing new opportunities. Taking time away to “reset” and forging new partnerships with other businesses also rank high as important ways for business owners to stay plugged in.